Do you ever get the feeling you are going through life uninformed? Playing catch-up? Suffering from a lack of information? The remediation for being left in the dark and discerning what they don't tell you (for whatever reason)—should be quite simple. Clarify known facts. Recognize and classify observable anomalies and contradictions. Develop alternative models , including an understanding of all relevant facts within reason. Question everything —as advised by Albert Einstein, then draw conclusions and re-question both the effectiveness of the deductive process and the value of the answer. Repeat as necessary...yada yada. Simple? No. We wish it was simple to accurately discern and discover what they don't tell you, but logic suggests deeper issues may be involved; seemingly insignificant but nagging little white lies of convenience, half-truths, secrets, and fast-growing deceptions...all of which may be selective wool drawn over your eyes, manipulation, coverups, or attempts at avoidance meant to interfere with progress or mess with your mind. The path to discovery and enlightenment may be long and arduous enough on the straight and narrow, but with adequate dilly-dallying it seems wide, wandering and easy paths more closely describe the typical status quo. What they don't tell you is that even otherwise intelligent, resourceful people meander, glance this way and that, accepting, adding and even promoting fanciful, constructs of their own in their sketchy attempts to relay information to you, the lost. A simpler approach should be: Ask. Discover. Use logic. Deduce. Listen to honest folks only. Follow the straight path to discovery. Truth is just around the corner behind the white picket fence. Let us try, but, alas...gaze down the rabbit-hole, Alice. With a bird's-eye view you now optimistically dream up the right question. Do facts line up within logic? Was the apparent response honest, or clearly suspect? If so, ask again. Creative liars and miscreants and crooked politicians become nervous when questioned. Complex webs of creative lies may have already been proffered in a state of panic—a moth-eaten blanket full of holes, further details of deception essential to hide the truth. 'What they don't tell you' may soon become an inescapable quagmire of perpetuated lies and distorted facts. Not simple to remember or escape from, 'half-truths' become essential prompts. Interestingly, half-truths, political correctness and 'what they don't tell you' are all signature fallout from the modern degradation of honesty. Our compromised, deceptive but slick world suggests ' a plague of half-truths' and practiced political correct euphemisms are now more acceptable than truth, as long as feel-good 'success', status and wealth are achieved. Half-truths are manipulative tools, twisted fact, deception with intent, and imagined, childish justification —the means to any devious agenda and further decay. Revelations of societal decay should not surprise; traditional values are ignored; sterling values are increasingly seldom taught, are even less frequently practiced, and now, upon occasion, may no longer even be expected by anyone. In an observable, vicious cycle, offspring quickly learn lessons of instantaneous gratification as opposed to being carefully required to observe, learn and understand values. What have they not been told? The young may not have been advised that learning, morals, hard work, independent thought, charity, understanding and tolerance are essential. Blind acquiescence to the media, corporate power, greed, and the dark side of human nature with instant gratification are default lessons—at any cost. What they don't tell you is that we have willfully failed to stem the flow of genuine humanity, wisdom and civility from our veins. We are complicit as we cheer and emulate the 1% and somehow vote for future generations of devious feel-good social manipulators, even the corrupt. In the media, we listen spellbound to insatiable, greedy, thoughtless, powerful, destructive, and short-sighted ideologues posing as potential leaders. What they don't tell you is changing everything for their benefit. Is it any surprise they don't tell you to think for yourself? Today, in significant numbers, authors vote for freedom and independence in a booming trend to by-pass traditional publishers. Migrating to independent methods, it seems authors vote for freedom and independence. Heady stuff. Why? Change in the industry was inevitable, considering the arrogance, economics, and straight-jacket limitations of traditional publishing. Loss of project control, fine-print contracts, bad editing, deadlines, unrealistic promises of miniscule royalties. As authors in larger numbers move to self-publish, it seems something substantially more important is involved; the underlying wish and dedicated vote for freedom and independence. If you have ever published a book, you know the routine. Publishers beta-read, edit, crop, switch the order of chapters, introduce arbitrary changes , smile like Cheshire cats, —then inflict what they think —or perhaps even believe—is the best treatment and decision for your book. Even, in the extreme—to forgetting content, adding errors, and altering your unique writer's voice. Hmm.... we have even heard authors using foul invective in discussions on this subject. Publishers are, after all, as you will be told, the publisher, and marketing experts; wise decisions by such informed persons, by default, should be beneficial upon occasion. Besides, someone has to be the whip-snapping boss. There can be only one flashlight in the dark, one direction, one captain on a ship, blah blah. Regardless of subsequent success, or the dismal sinking thereof. For some inexplicable reason some writers erroneously accept, imagine or assume that official publishers should automatically be smarter and more knowledgeable than garret-bound, lowly scribblers of fiction or even those genius, highly-respected, bespectacled authors of enormous, non-fiction tomes of significant stuff. You get the idea. We observe and must concede that sometimes publishers and editors are wrong, or actually prove they are more right and clever. Kudos to shining, diligent, and wise editors when they are right, may their stubby candles at head office always shine brightly. Sadly, being right or 'being in control' does not always guarantee an optimal outcome —for any book. Does this conundrum sound familiar to you? Has your book publishing experience been a) surprisingly successful, b) produced paper-weights collecting dust , or c) _____? you fill in the blank. In all fairness, let us analyze logically. If your book fails in the marketplace and success expected is not achieved, something is, or was wrong. The question is, what? You have to decide. It is very simple. Sparkling, original content written well, with excellent professional editing work, fault-free publishing, and thoughtful promotion into the right market has a reasonable chance. Was your book a quality offering to the world of readers? We hope so. Was it dreck destined for failure, regardless of your publishing choice? We hope not. Questions ultimately must then also be asked, 'Are publisher decisions always best for every book project?' Are publishers compatible with every author? Is genre a problem? Timing? Marketing? Did the formatting work? Is success ever guaranteed? Of course not. Are your own publishing decisions right for the project? The correct answer may be based upon circumstance, karma timing and luck. And a gazillion other factors. Think for yourself. Don't feel bad if you are wrong. Myriads of simple mistakes are made every day by both authors and publishers —even before that first draft. Wonderful premises may be abandoned by discouraged writers, never to be explored. Publishers may reject a timely, impossibly good manuscript. Writers may ignore the advice of those rare, brilliant, and helpful editors. Equally, bad editors may discourage writers or ignore, miss, and worse, even introduce mistakes. Fantastic authors of potentially stellar works are routinely sent rejection letters —or are told "go take a writing class". Wow—yet happily end up eventually selling millions of copies. Believe it; some excellent books never see daylight. Such contradictions defy logic. The hard truth is, to publish your book by any method, bravery is required. Publishing a book may be comparable to a crap shoot. Courting Lady Luck. A calculated gamble, perhaps, but still a gamble. Timing is everything —sure, we believe that, but how about quality content, originality, beta input, perception, presentation, reviews, marketing, classification, publishing methodology, sales venues, change in societal markets and reading audiences? ...But don't forget luck. It all counts. Personalities involved in publishing may also rise, cement, develop, bloom and grow —or clash, fester, and fail with bad communication and people skills. You, the author, —and the publisher —may realistically and justifiably have completely different visions, ideas, and targets for the project. For better or for worse. Both votes to self-publish and the vote to publish traditionally are incredibly complex choices, —and are only two choices of many which must be made. Hard decisions. It is your book. Your responsibility. So, what to do? Writers, scribblers, poetic persons and all, if publishing is in your future, pick a straw. The best part is, now you do get to decide. Be brave. We observe that a vote for freedom and independence coincides nicely with a vote for personal satisfaction even if success is optional. Read that again. Here at Incoming Bytes we say step out there if you dare. One thing is guaranteed...you'll never know until you try. It's called the writing life. 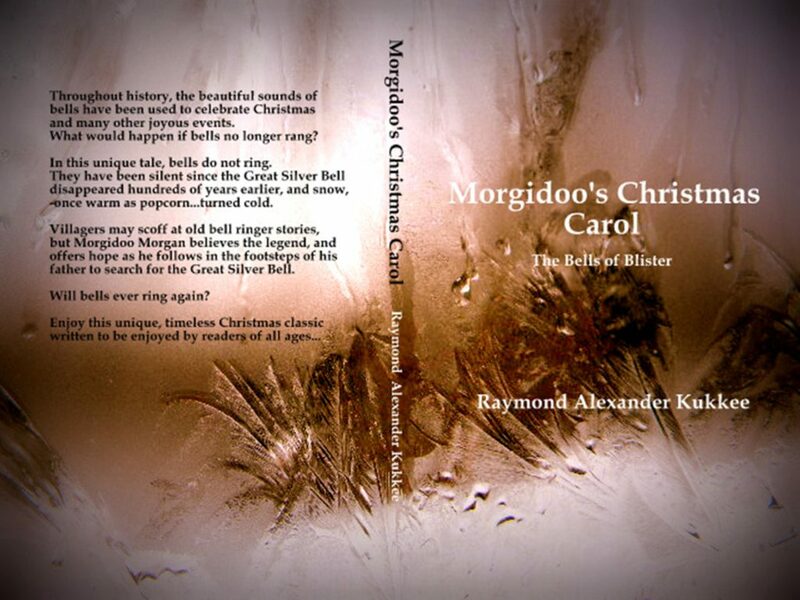 I have voted for freedom and independence in republishing Morgidoo's Christmas Carol, —originally published in 2011. ©2016 Cover art All rights reserved. Yes... Christmas, we do observe, may still appear to be 9 months away, —but go for it anyway. Why? 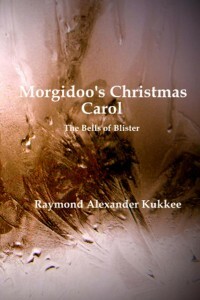 Morgidoo's Christmas Carol is classic literature for all seasons. All year. Written to be enjoyed by readers of all ages. Adults and publishers included.